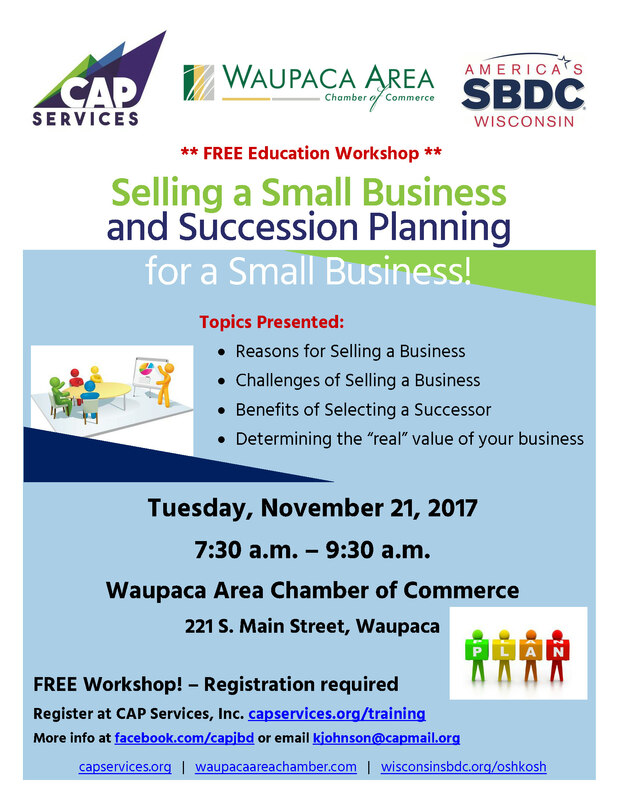 Selling a Small Business and Succession Planning for a Small Business – CAP Services Inc. According to Small Business Administration (SBA), within the next 10 to 15 years approximately 70% of privately owned businesses will exchange hands. This exchange will represent the largest intergenerational transfer of wealth in the U.S. History. Family businesses comprise 90 percent of all business enterprises in North America and 64 percent of the total U.S. employment. Even so, only 30 percent of family businesses in the U.S. will pass to next-generation family members. In fact, peakfamilybusiness.com revealed that 47 percent of the companies they surveyed had no succession plan in place—leaving the company exposed in the event of the business owner’s death. Another startling fact is that of the CEOs due to retire in 5 years, 55 percent have not yet chosen their replacement. The question now is how these transactions will occur. The answer? It varies. Some businesses will be sold at a premium because of smart business owners who took it upon themselves to plan the process of a smooth and valued transfer of assets. On the contrary, some businesses will be sold for a loss due to other factors like an untimely illness or death. Still others will simply close their doors and sell the equipment and inventory at bargain basement prices. Where will your business fall during this transitory period? Comfortable or not, succession planning should be a priority for any small business considering that more than seven out of ten family-owned businesses fail to survive the transition from founder to second generation, typically falling prey either to estate taxes or family discord – or both. Business succession planning is not an event, it’s a process that begins with a financial health check for your business. Business Dictionary defines succession planning as “a process for identifying and developing new leaders who can replace old leaders when they leave, retire or die.” It is a part of every business, and a key factor in suitable promotion processes. Now that you know all these important facts and figures, what do you do with them? The answer is clear—ensure that your organization has a comprehensive succession plan in place before you need it. It is also apparent that succession planning has positive effects on both employees and employers. And, developing and implementing a well-designed succession plan is essential to the survival of a family business from one generation to the next.